When you decide, or are involved, in an evolution project regarding your Organization division, perhaps your Company is willing to transform it in an Enterprise Architecture Capability, in other words a set of resources dedicated to design and support change management using comprehensive frameworks, like TOGAF. It’s a good moment to think carefully about your objectives, and you can use TOGAF itself as a supporting framework for this project (TOGAF manual describes this task in the “preliminary” phase). 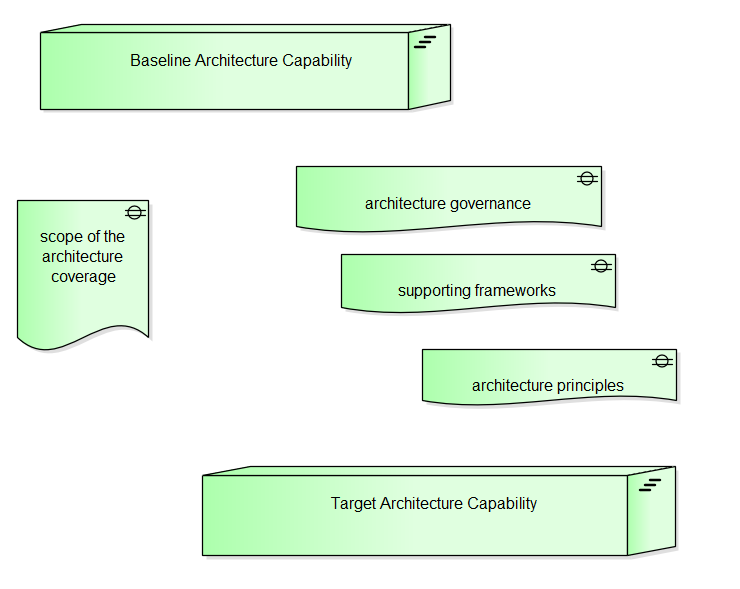 the desired target Architecture Capability. The differences between those two situations will be described using a list of gaps, that will be the starting point for your project definition. Using Archimate – the modeling language that integrates very well TOGAF in many parts – we can describe these elements. 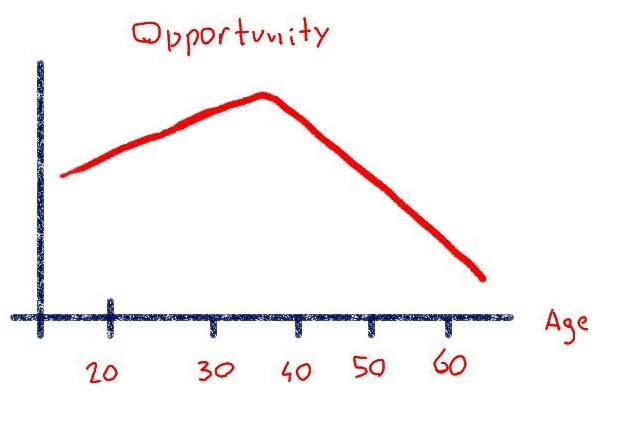 This will be also a good opportunity to start practicing, in your “real” business, your new organizational structure. At the same time, during this project, you will produce – as a deliverable – an initial Enterprise Architecture, covering the basics layer of Business, Data, Application and Technology. This initial Architecture, stored in your Architecture Repository, will be used and refined in your following architectural projects. During the design of the Business Architecture, in TOGAF, we have to outline the structure of the organization, including the description of how human resources are assigned to roles, organizational units, locations. The structural element representing the organizational unit in Archimate is the Business Actor. As the standard says, a Business Actor may be “a human, a department, or a business unit”. This is the main building block of our organization structure design, and can be enough if you want to limit yourself to the traditional hierarchical organization chart. Following this approach, you will find perhaps a missing element: a taxonomy that helps you classify the different elements. the sales organization is a business unit, with a manager; we suppose that the manager will be a single person. 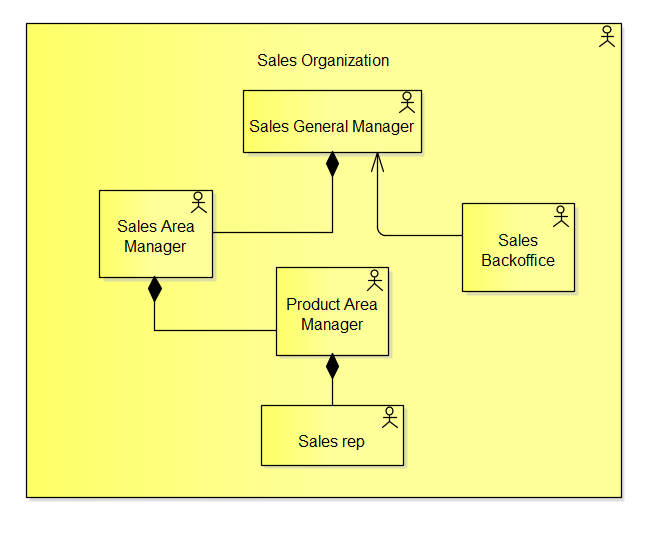 There are more Area Manager; the composition relation shows that the Sales Manager is their direct boss. Again, this “Actor” will perhaps be a single person, but there will be more people in this role, each of them assigned to a different geographical area. Within each “Area”, there are separate managers for each “Product”. All the Product Managers of an Area will report to the Are Manager. The geographical dimension appear to be the prevalent one. Perhaps there is also an orthogonal Product dimension; we can imagine that there is a global Product Manager, it’s not represented here, but is clearly possible. There is a single back office unit, working for the whole sales organization. Using this really limited set of elements from Archimate, we were indeed able to represent the basic hierarchical organization. Some of the relationships among business units, and the kind of each unit, are somehow ambiguous, requiring an explicative narrative. This is not good, because a modeling standard should be able to represent a situation without disambiguation. Other modeling standards, such as BPMN, provide the designer with some attributes that are specific for extensions. Archimate includes a generic extension mechanism, trough “attributes” for specific elements, included in a “profile”, or using specialization of standard concepts. We will see later how to accomplish this, adding some more elements to the model. Google have just released a new mail client for its Gmail service, which is usable free or with a paid subscription for smb and education. 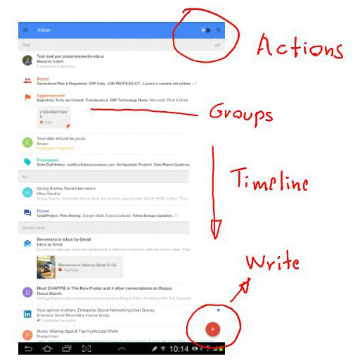 Whith this new client, Google is suggesting that a mail client should support the user not only in mail “browsing”, but also for acting on the mail messages, taking and organizing the proper actions required by each message. This is not new, the classical user interface of Microsoft Outlook was already providing an integrated environment for mail, tasks, calendar and contact management. The final expected result is a cleaner inbox, that helps finding out the important messages, plan when we are going to act upon them, and gently guide us in browsing other categories of messages when we are confortable. 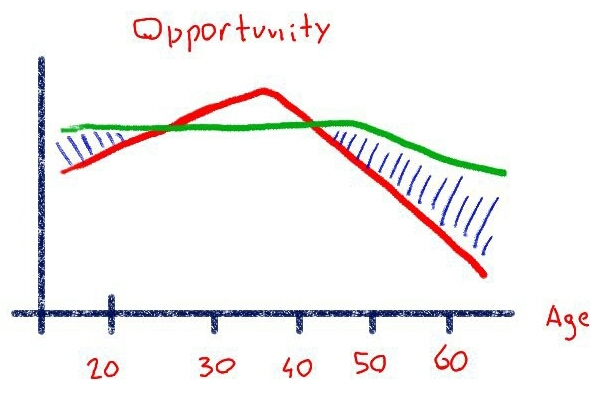 People are sets, nested and mixed together in various ways, that can be seen as “containers” for several messages, with the exception that the containment is not strict, as water in a bottle, but shows a sort of ripple effect, that goes beyond the natural border of organizational or social set. 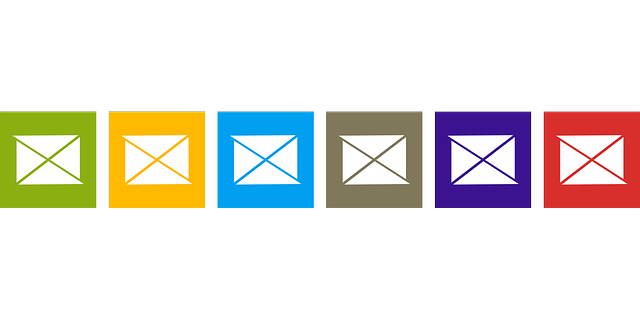 Google is putting emphasis on content: mail are classified according to their content type, even if the sender is used as an element helping content classification. 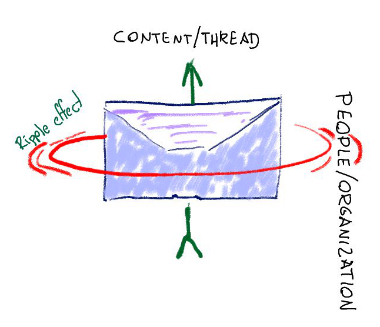 The missing element is people relations, and threads, intended as an extended version of the traditional mail threads (answers, forwards). I think that this is a promising further line of development. 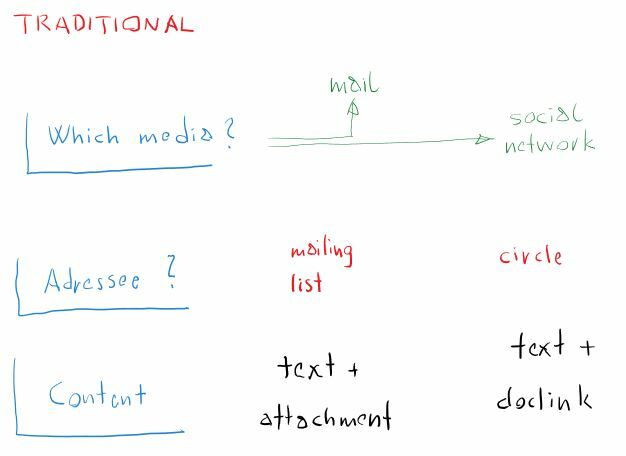 Content is something that is somehow limited to the single message (or message thread). People is something more “stable” in the network of our relations, and more significant when we shift to groups/clustwr of people. 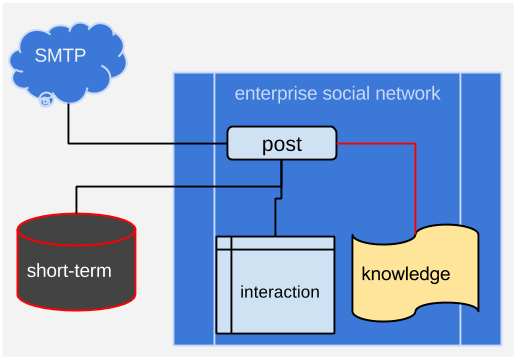 In this field, Google has already its social layer, Google+, that is already exploited in the traditional web interface of Gmail.